German media have a “particular” responsibility to finally free themselves of Israeli lobby pressure and talk about the ethnic cleansing of Palestine, as would be expected of “genuine” journalism. I very well remember the weekly rallies of Pegida which failed to make any proposals, but just created blind hatred. The AfD party came from its lap and got its voter potential because of the numerous unsatisfied and excluded Germans. What happened in Europa much earlier, was also experienced, even if to a lesser degree, in Germany. What is particularly alarming about this is that those right-wing populists support the “Jewish State” and venerate it as bulwark against Islam. They had already already been on a pilgrimage to Israel to support the Jews against the “Islamic terrorist threat” by forming an anti-Islamic front. And it is not without reason that today for the right-wing extremists the “Jewish State” is the outpost of the “Judeo-Christian Western World” which must be protected from the common enemy Islam and Muslim citizens. Consequently they made lots of friends in Israel who In fact shared their objectives. What we can see today, is the result of many failures by the media who ignored the burning problems and promoted this dangerous movement. 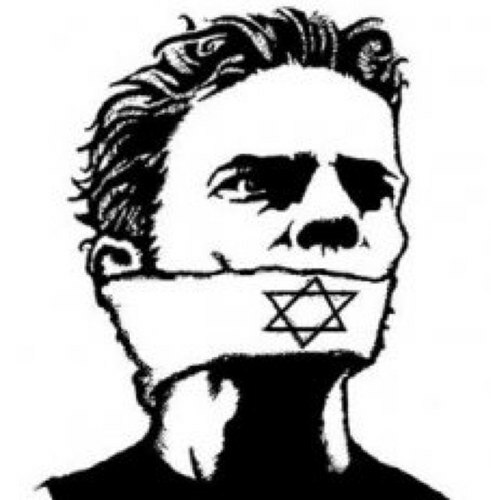 For a long time now the “Jewish State” has been moving away from democratic values by developing into a more and more racist Apartheid State ignoring and determining media and official politics with certainty of its power because it is financially and politically supported. Critics of the “Jewish State” and BDS supporters are also strongly opposed. At this point, let me tell you about a typically German panel discussion organized by the German Israeli Society (Deutsch-Israelische-Gesellschaft DIG) at the site of the radio-television Berlin Brandenburg rbb. This event exactly exposed this issue, even if were in a different way than was the organizers’ intention. It was an uncertain round table discussion titled “The image of Israel in the German media.” In the end they were “entre nous,” because only supporters of the “Jewish State” had been invited: the “steel helmet Jew” Michael Wolffsohn, the chairman and managing editor at BILD, Julian Reichelt, and the two editors-in-chief of ARD and Deutschlandfunk DLF, Rainald Becker and Birgit Wentzien. The so called “experts” of the Israel lobby invited to this event speaks volumes. The vice-chairman of the DIG made the welcoming speech, in which he criticized the “tendentious, anti-Israeli” media reporting, “emotionalizing“ one party and added that politics were also involved. So it is time for the German media to recognize itself as the “fourth estate” and debate how to deal with Israel. Then Gesine Palmer, a leading “Christian Zionist”, and Protestant theologian, who also studied pedagogy and Jewish studies, criticized the “Jewish State” by mentioning that it had more to offer than violence and terror. However, in this context, she forgot to mention the constant existence of occupation and settler terrorism which must never to be forgotten. This policy, recognized as a violation of international law, and consisting of the oppression of a people is unique. In fact it is already overdue to talk about this issue again, as the reporting about the “Jewish State” only consists of omissions and tendentious understanding of Israel. It is understandable that this event was well-attended because in the meantime these facts have also been noted by the general “media consumer.” As friends from Berlin who visited this propaganda event told me, the discussion was just the mirror image of the more than sad journalism of our time. It was a unilateral and extremely unsatisfying evening. When the “steel helmet” Wolffsohn not just criticized the “lack” of empathy, but also – even more shameful – the “unilateral” reporting and “manipulation” and in particular the correspondents working in the “Jewish State.” And then the worm had turned! The atmosphere in the room was stretched to breaking point and was in danger of exploding, but nobody dared to openly oppose what was being said. Then the DIG presidential member and journalist Daniel Killy accused their colleagues of lacking sensibility and expertise because they chose the wrong terms that called for “negative” associations. I think that this more than appalling event was extremely pathetic for both invited representatives of the broadcast stations. Becker and Wentzien defended themselves against sweeping criticism, but their defense was less than devout and insubstantial. They tried to justify their reporting. Then “colleague” Killy of DIG asked for “linguistic specifications” from the chief editorial team, and for a “list of terms editorial teams should avoid or restrict” in their Israel reporting as this would be a very effective step. BILD editor-in-chief Julian Reichelt asked for more “empathy” because of the “special” responsibility of German national-socialism. We see this “special” responsibility every day in the newspaper BILD! With this “sensitive attitude” German journalists make themselves complicit in the ethnic cleansing of Palestine, and this is irresponsible! In fact, German media have a “special” responsibility to break free from the pressure of the Israel lobby and to report about Palestine as it is to be expected “genuine” journalism. How can editors-in-chief of public media and newspapers stoop to such a low level, by working according to such dictatorial targets and accepting them without any opposition just to keep their jobs? How bad does the situation need to get before they show open resistance? I am asking myself how we can positively report about a “Jewish Apartheid State,” by considering what happens every day. I would say they should leave their jobs. I have been dealing for many years with this unpleasant issue, and have experienced a deteriorating situation when I think about German media and Israel. What is daily reported in serious foreign newspaper, from the liberal Israeli newspaper Haaretz to various British, English-speaking, and Scandinavian newspapers, is not echoed in German newspapers. It has always been common practice that representatives of the Central Council of Jews, the Israeli embassy, and the international organizations represented in Berlin romp about in editorial offices and broadcast stations. In the past it was about background conversations, while today it is openly celebrated and brazenly influenced reporting. In addition, journalists are continuously invited by Israeli government and the institutions connected with it. However, in comparison with today, in the past it was possible to hear a voice of criticism. At the moment, we are at a low point of media plausibility, which is a dangerous development. 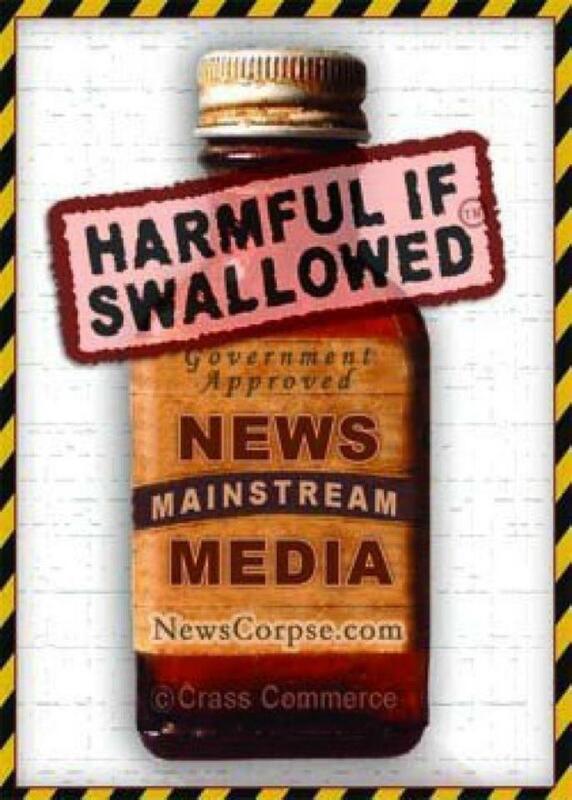 In the long run media consumers do not let themselves be fooled. The former Ku Klux Klan leader accused this media organization of being “communist” in a tweet sent after the article appeared. Duke, who was responding to a tweet from Forward editor Laura Adkins, put the triple parentheses around the term “communist” – a symbol that has come to stand in on the “alt-right” for a Jewish conspiracy. The Forward was founded in 1897 as a socialist newspaper and maintained its socialist stance while adopting an anti-Communist and anti-Stalinist line as the Cold War escalated. It is now entering its 120th year as a the respected voice of independent Jewish journalism, culture and political opinion. As law enforcement officials release more information about Stephen Paddock, the suspect in the Las Vegas shooting that killed nearly 60 people and injured more than 500 Sunday night, much of the reporting on his identity has focused on the fact that he is a “local individual” and a “lone wolf”—terminology that critics say has been used to signify that Paddock was a white male, and therefore not a terrorist. IS THE NEW YORK TIMES ADMITTING IT IS FULL OF SH-T? One can’t help but wonder what else the Times has been lying about ….. In the aftermath of Donald Trump’s electoral victory, the New York Times executive editor and publisher have promised readers to report world news more accurately. In the aftermath of Donald Trump‘s electoral victory, the New York Times executive editor and publisher have promised readers to report world news more accurately. Publisher Arthur Sulzberger Jr and executive editor Dean Baquet questioned, in a unprecedented move, whether the paper had underestimated Mr Trump’s support among American voters. The left-wing media has been widely accused of failing to fully appreciate the scale of discontent at the politicial elite, of which Hillary Clinton was viewed by many as epitomising. The New York Times and the Washington Post in particular were very critical in their stance and coverage of Mr Trump. In October, the paper refused to retract an article in which two women accused Donald Trump of sexual assault, after the Republican presidential nominee threatened to sue the newspaper. In a letter, a lawyer for the Times all but dared the property developer to make good on his threat. The article featured interviews with 74-year-old Jessica Leeds, who said Mr Trump had groped her on a flight more than 30 years ago, and with Rachel Crooks, whom Mr Trump allegedly kissed “on the mouth” against her will as she introduced herself to him in 2005, when she was 22. Published on Saturday, the editorial said: “After such an erratic and unpredictable election there are inevitable questions. “Did Donald Trump’s sheer unconventionality lead us and other news outlets to underestimate his support among American voters? “What forces and strains in America drove this divisive election and outcome? The piece announced the paper’s plan to rededicate itself to reporting American and world news “honestly, without fear or favour”. The editorial stated: “When the biggest political story of the year reached a dramatic and unexpected climax late Tuesday night, our newsroom turned on a dime and did what it has done for nearly two years – cover the 2016 election with agility and creativity. “As we reflect on the momentous result, and the months of reporting and polling that preceded it, we aim to rededicate ourselves to the fundamental mission of Times journalism. Mr Trump’s victory has been meant with widespread protests across America. Thouands of marchers took to the streets of New York, Los Angeles and Chicago on Saturday night as protests continued. At least 25 cities have seen major anti-Trump demonstrations in the five days since the controversial businessman’s shock election victory. Not quite, but they might as well have …. 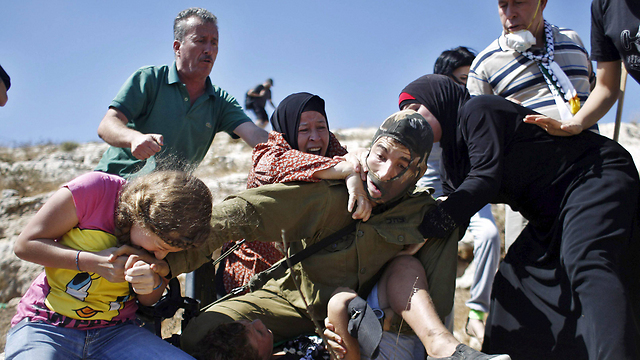 Daily Mail and Telegraph change headlines critical of Israel after claims arise Palestinian family photographed clashing with IDF soldier are known provocateurs and that incident was staged. The incident in question …. LONDON – Two of Britain’s leading newspapers have changed their coverage of a violent clash between an IDF soldier and Palestinian women and children after claims arose that the family involved in the incident, and particularly a blonde girl photographed biting the soldier, are known provocateurs. On Friday, an IDF soldier trying to arrest a stone-throwing 13-year-old Palestinian boy drew international outrage after he was documented in a violent clash with Palestinian women and children. 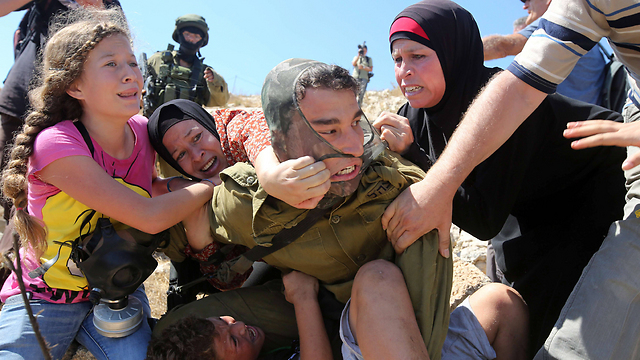 Members of the Tamimi family, prominent Palestinian activists, physically attacked the soldier in an attempt to free son Muhammad Tamini, whose hand was in a cast. The blonde-haired girl became a symbol of the Palestinian resistance in international media and is often documented in confrontations with Israeli soldiers. Muhammad Tamini is her brother. The UK Media Watch said major newspapers like The Daily Mail and The Telegraph realized the incident was staged by the Palestinians in order to cause provocation. Later, however, the story was removed entirely from the Telegraph’s website. Below is a cartoon, by Cameron Cardow of the Ottawa Citizen, that USA Today selected as its daily editorial cartoon for February 2. It’s not a terribly hard cartoon to parse: Islam is the modern equivalent of Nazism, and threatens a new Holocaust. The cartoon lists entities that have nothing in common with each other aside from their connection to Islam–political movements like Hezbollah and Hamas, who have been the targets of far more violence than they are responsible for, along with groups like ISIS and Boko Haram, terrorist groups whose victims are primarily Muslim. Hezbollah and ISIS are actually engaged in intense warfare with each other. In case you missed the point, the cartoon puts one of the holiest phrases in Islam–”Allah Akbar,” or “God is great”–in the mouth of a Nazi skeleton. It’s not a terribly hard cartoon to parse: Islam is the modern equivalent of Nazism, and threatens a new Holocaust. The cartoon lists entities that have nothing in common with each other aside from their connection to Islam–political movements like Hezbollah and Hamas, who have been the targets of far more violence than they are responsible for, along with groups like ISIS and Boko Haram, terrorist groups whose victims are primarily Muslim. Hezbollah and ISIS are actually engaged in intense warfare with each other. No doubt defenders of the cartoon will say that it’s only talking about the badkind of Islam, which is just as persuasive as making a list of all the horrible people you can think of from a particular ethnic group and then saying that you’re only talking about the bad people from that ethnic group. 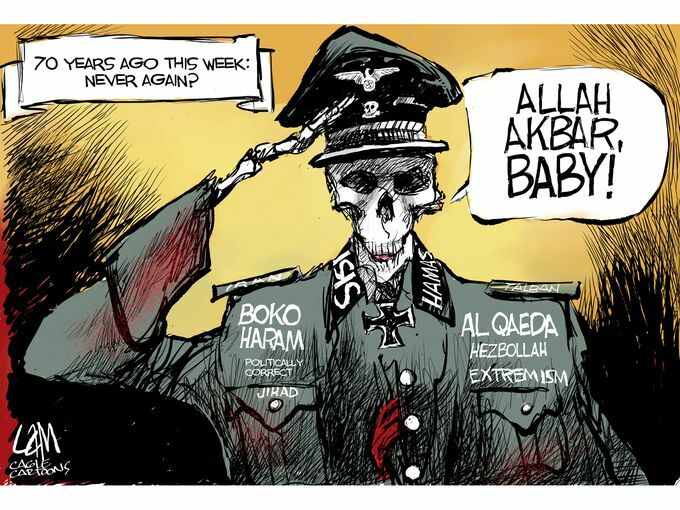 One would hope USA Today would decline to make such a smear its daily editorial cartoon. UPDATE: You can send feedback to USA Today’s editorial page editor Brian Gallagher at bgallagher@usatoday.com. Readers expect greater accuracy from NYT’s editorials. Likewise, when the Editorial claims that, “successive Israeli governments, including that of Prime Minister Benjamin Netanyahu, have long negotiated on the basis of a two-state solution,” one is led to believe that fact checking has lost its role in journalism. Not only has Prime Minister Netanyahu made multiple, recent public statements defying any notion of a solution based on two states, his party, Likud, has yet to insert its support for two states into its political platform. Another deep flaw in this piece is stating that Israel “withdrew from Gaza in 2005.” They did nothing of the sort. 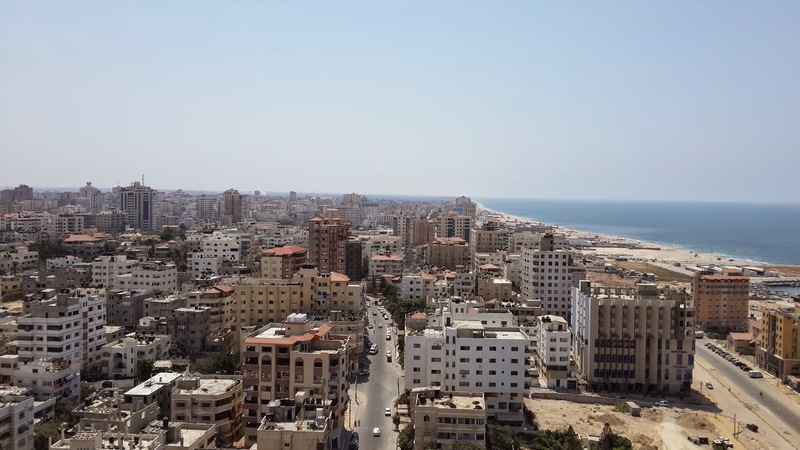 Even Israel itself did not call it “withdraw,” but rather “Unilateral Disengagement.” The international community has made it clear, over and over, that Gaza today is just as militarily occupied as Ramallah or East Jerusalem. Developing Story or Underdeveloped one? 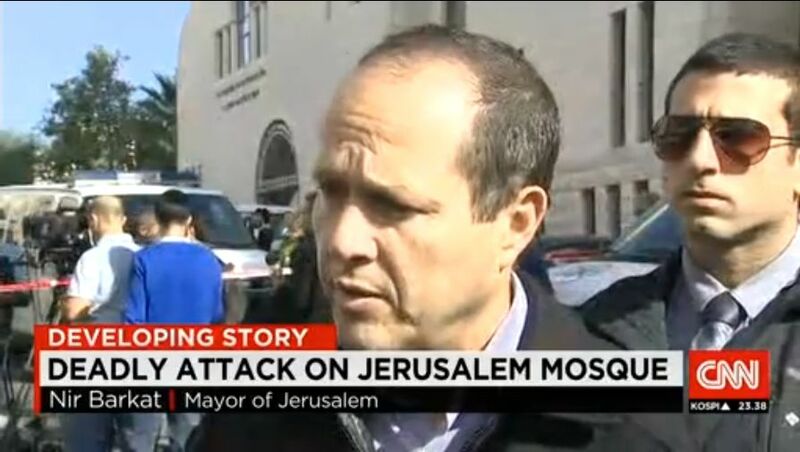 In what can only be assumed to be a gaffe on the part of CNN producers, an interview with Jerusalem Mayor Nir Barkat included a seriously amiss caption confusing the synagogue in this morning’s attack with a mosque. 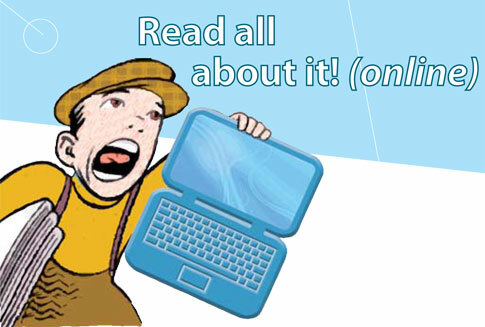 Here at DesertPeace you will find news about Palestine that is fit to print! I AM A BLOGGER, HEAR ME ROAR! The London Times refused to run an ad featuring Nobel Prize winner Elie Wiesel speaking out against Hamas’ use of children as human shields. The ad sponsored by The Values Network, which was founded by Rabbi Shmuley Boteach, has run in The New York Times, Washington Post and The Wall Street Journal, among other U.S. newspapers. The refusal was first reported by the New York Observer. The London Times refused the ad because “the opinion being expressed is too strong and too forcefully made and will cause concern amongst a significant number of Times readers,” according to a statement from a representative of the newspaper, the Observer reported. Headlined “Jews rejected child sacrifice 3,500 years ago. Now it’s Hamas turn,” the ad began running last week. It reads, in part: “In my own lifetime, I have seen Jewish children thrown into the fire. And now I have seen Muslim children used as human shields, in both cases, by worshippers of death cults indistinguishable from that of the Molochites. On 17 June, the same day the Israeli army forcibly confiscated CCTV cameras in Beituniathat captured footage of its soldiers killing two unarmed Palestinian boys during a Nakba Day protest, Israeli Ambassador to the United Nations Ron Prosor appeared behind a lectern at the UN Mission in New York City. With an Israeli public opinion poll taken after the Israeli teens’ funeral showing the far-rightJewish Home party gaining ground on the right-wing Likud, Israeli political upstarts rushed to issue calls for blood vengeance and the “annihilation” of Hamas. Ayelet Shaked, a rising star of the right-wing Jewish Home party, published a call for the genocide of Palestinians on Facebook that earned thousands of “likes” from Israelis. Against the backdrop of fever-pitched incitement, a small car entered the back streets ofShuafat, a Palestinian neighborhood in East Jerusalem, on 2 July. Behind its darkened windows were angry young men hunting for Arab boys. Max Blumenthal is an award winning journalist and bestselling author. His latest book isGoliath: Life and Loathing in Greater Israel (2013, Nation Books). 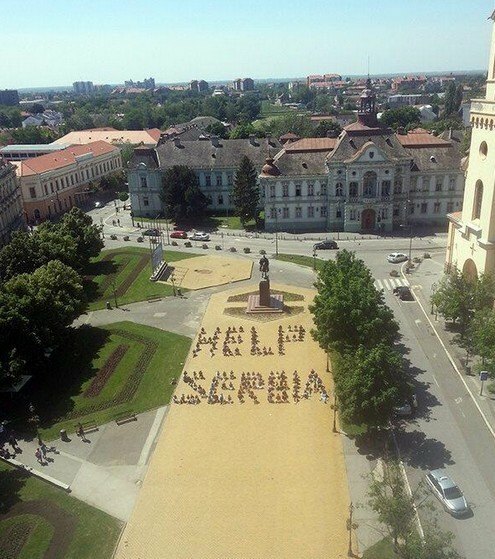 WHY HAS THE WESTERN MEDIA IGNORED THE HORRIFIC FLOODS IN SERBIA? The zionist controlled western media has virtually ignored the suffering of the Serbian people as a result of record breaking flooding. 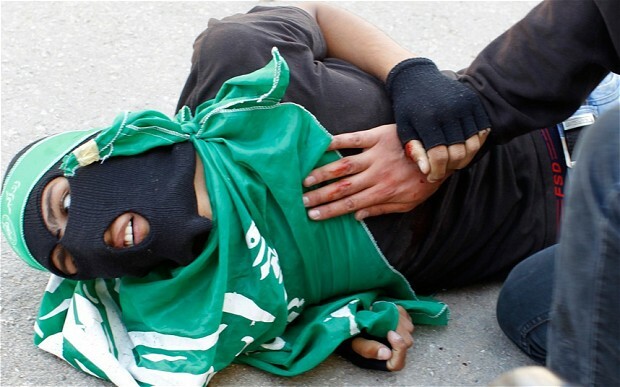 Except for a few articles dealing with THIS in the Israeli press, there has been no other coverage…. No Jewish involvement= No interest? The Balkans are suffering from a flood of magnitudes not seen in decades, which has left over 35 dead and sent tens of thousands of people fleeing from their homes, as heavy rains turned the Sava River into a lethal torrent. Rabbi Yitzhak Asiel, the Chief Rabbi of Serbia, says that at this point no Jews are known to have been injured in the flooding. Over 24,300 peoplehave been evacuated in Serbia according to CNN. “As for Jews, up till now there’s no specific information on Jews harmed G-d forbid. But the Jewish community is tensely following the developments, because in the evacuated areas there are naturally also Jews,” said Rabbi Asiel. The floods were caused by “an intensive rain system – a quantity of rain that falls in three months fell in a matter of days, something that only occurs once in a century,” noted the rabbi. Prime Minister Binyamin Netanyahu has offered emergency Israeli helpto the government of Serbia. Rescue teams from Russia and several EU countries are en route to the region to assist. At least a million and a half tons of supplies were on the way to the region, EU officials said. “NBC seeks to entertain the public with a thriller filmed in Jerusalem, but the situation in Jerusalem is neither entertaining nor thrilling. Palestinians in Occupied East Jerusalem live under constant fear that their homes will be demolished and that they themselves will lose their right to reside in the city of their birth, while at the same time an estimated 200,000 Israeli Jews have settled in the area. It would be more fitting for NBC to do a documentary of dispossession and expropriation,” said Sydney Levy of JVP. Poet Remi Kanazi, Jewish Voice for Peace’s Abe Greenhouse and Pat Connors of Adalah-NY attempted to deliver a petition at NBC’s New York headquarters on 6 May. On Monday NBC refused to accept a petition signed by more than 5,000 people calling on the network to end its involvement in the action series DIG, which will be set and shot in the Israeli-occupied Palestinian city of East Jerusalem. Representatives from Adalah-NY: The New York Campaign for the Boycott of Israel, Jewish Voice for Peace (JVP) and the US Campaign to End the Israeli Occupation attempted to deliver the petition addressed to Cory Shields, Executive Vice President Communications of NBC Universal, at NBC’s office at Rockefeller Center in Manhattan. An assistant in Shields’ office refused to accept the delivery, telling activists to mail it instead. In Los Angeles, JVP-LA and Students for Justice in Palestine at California State University, Northridge were able to deliver the petition to Jeff Wachtel, Co-President of USA Network, through an intern at their Universal City Plaza office. “NBC’s drama series DIG, filmed in occupied Palestinian Jerusalem with the sponsorship of Israeli government and municipal officials notorious for promoting the illegal Israeli settlements and apartheid, violates all standards of corporate ethics and responsibility, is deeply immoral, and adds insult to injury for all Palestinians and conscientious people in the world,” said Zakaria Odeh, Executive Director of the Civic Coalition. “No amount of Hollywood makeup can cover up occupation, land confiscation, and discriminatory laws. Palestinian society has been clear, and more than 5,000 people on the signature list agree, playing dress up on occupied land will only help to whitewash Israel’s violation of Palestinian rights and further entrench the status quo,” said Palestinian-American poet and Adalah-NY member Remi Kanazi. USA Network announced the series DIG back in November 2013 and it is currently set to air in the fall of 2014. Nir Barkat, the Israeli mayor of Jerusalem, and the Israeli Keshet Media Group declared at the time that most of the filming would take place in the “City of David National Park,” an illegal Israeli settlement located in the Palestinian neighborhood of Silwan. But the network has since refused to clarify if the show will be shot in other parts of occupied East Jerusalem, which includes the Old City, or if they will be cooperating with Israeli government bodies there on the project, including receiving funding. In FebruaryHaaretz reported that Israel and the Jerusalem municipality are jointly providing up to $6.3 million in grants over the next two years to encourage foreign producers to shoot movies and television series in the city. The first recipient will be NBC for DIG. “In times when even the best friends of Israel, including Secretary of State [John] Kerry, are warning of Israeli apartheid, NBC would be well-advised to scrap its drama series DIG in occupied East Jerusalem that will promote Israeli apartheid and oppression of the Palestinian people. Going ahead will definitely affect NBC’s image in our region,” Odeh added. According to countless UN Security Council resolutions and the International Court of Justice in 2004, East Jerusalem is part of the Palestinian territories occupied by Israel in 1967. Its annexation by Israel is not recognized internationally and has been condemned. For the past 47 years, Israel has committed serious violations of international law and human rights there. According to Human Rights Watch, this includes policies of forced land acquisition and population transfer through home demolitions and revocation of residencymeant to change the composition of this Palestinian city and “Judaize” non-Jewish areas. Once regarded as a voice of sanity in a very insane world, The Guardian has for years presented the news as is … unlike the rest of the corporate media. Their positions on the Israeli/Palestinian conflict has had the zionists spinning around to condemn most of what they had to say …. they even have a Website which ‘watches and monitors‘ their reports. But this weekend a report surfaced offering praise to one of the most vicious leaders of the State of Israel, Ariel Sharon. A man equally despised by both the Left and the Right in Israel. From the left because of the crimes committed against humanity during his entire political career, and from the Right for pulling out of Gaza, a move to get all of the Jews out safely so the area can finally be leveled in what he saw as the Final Solution. Obviously, even the Right does not agree with this opinion (I’d be shocked if they ever agreed with me on anything). The report mentioned whitewashes this move and tries to make it look like this might have been his attempt to establish Peace in the region. Nothing can be further from the truth. There is nothing virtuous about Ariel Sharon, and definitely nothing Peaceful about him. Shame on The Guardian for allowing such zionist dribble on their otherwise politically correct pages. The report labeled ‘Ariel Sharon’s final mission might well have been peace’, written by one Jonathan Freedland, can be read in full HERE. Comments are still open on the site, let them know what you think. Again, shame on The Guardian! What zion hides from the world ….. and what they get upset about …..
Abir was ten years old, walking home from school, a block away from the Israeli soldiers who were angry at adolescent boys throwing stones at their armored vehicle. They were just outside East Jerusalem in the village of Anata in the West Bank. 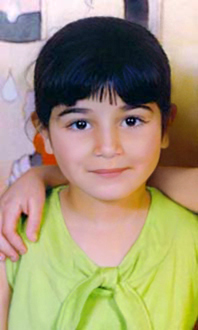 Abir had stopped at a store to buy candy to bring home to her sister. The rubber bullet hit her at the base of her skull. The operations to save her were performed at an Israeli hospital in West Jerusalem. They were unsuccessful. Bus Boycott: Ads paid for by the Palestine Awareness Coalition show the Palestinian territories shrinking into Israel over six decades. The head of the Jewish federation in Vancouver and the Canadian city’s transit agency are at odds over the legality of an anti-Israel ad campaign on buses there. The ads, which went up Tuesday, purport to show the “disappearance of Palestine due to Israeli occupation over the past 65 years.” The ads — 15 bus posters and one large “mural” in a station — consist of four maps spanning from 1946 to 2012 and illustrate “Palestine” shrinking over the years. “This is of grave concern to our community at large because the ads make the use of the buses unwelcome and unsafe,” Mitchell Gropper, chair of the Jewish Federation of Greater Vancouver, told The Province newspaper. TransLink, the transit agency, said in a written statement that it was advised by its lawyers that it was legally obligated to run the ads. But Gropper, an attorney, disagrees with TransLink’s legal determination and said the federation has retained a lawyer to consider its options. Marty Roth, a member of the Palestine Awareness Coalition that is behind the $15,000, four-month campaign, told The Province that the battle over the ads had already been won. WHY IS THE NEW YORK TIMES SO AFRAID OF ISRAEL?